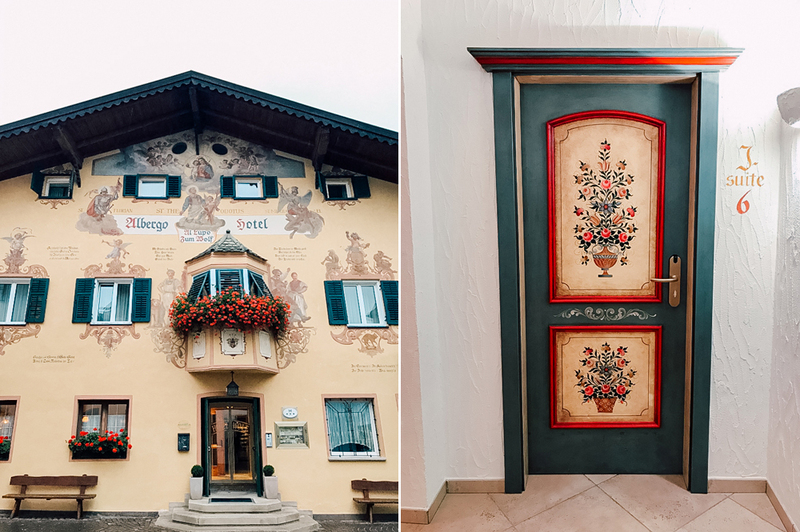 Castelrotto, one of the cities known as the "Door to the Dolomites," is the sweetest little city in South Tyrol of Northern Italy in the Alpe Di Siusi region of the Dolomites. 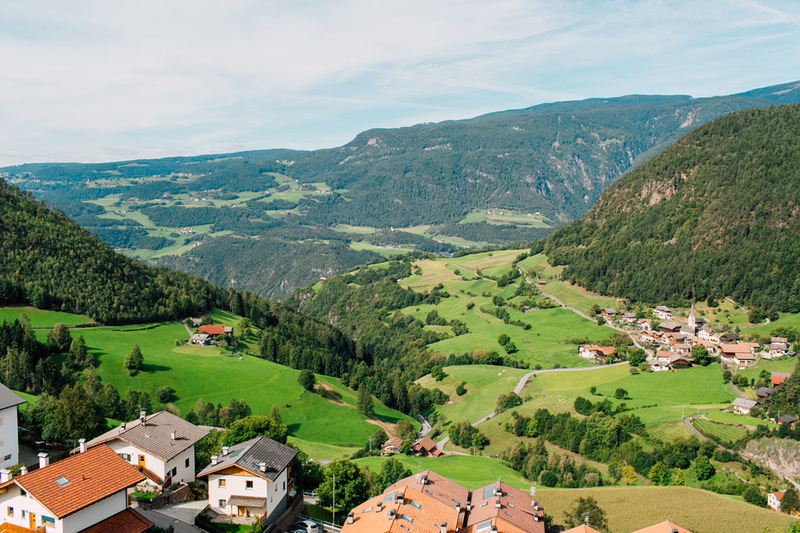 It's population of about 6,000 people speak mostly German as their first language, but we didn't find it hard at all to find people that spoke English (like most of your trip! I couldn't believe it!). We stayed in a really cute hotel called Hotel Cavallino D'oro and woke up in the morning to live music and a small farmers market in the streets of the main square just outside our window. We picked up some sort of local pastry favorite that was a flaky, warm pastry filled with JAM. SO GOOD. 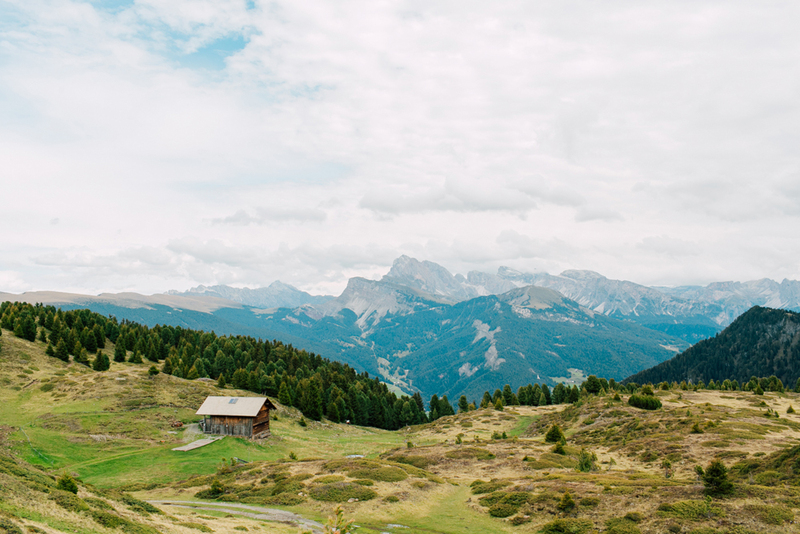 We walked around the sweet little town before taking a bus to the bottom of the Alpe di Siusi Cable Car we would take to reach Bullaccia! We took two different lifts to get from the bottom to the top of the meadow where we would hike the Witches' Benches Trail. This hike is about 6 miles long total and wraps around this beautiful meadow full of cows, horses and sheep! 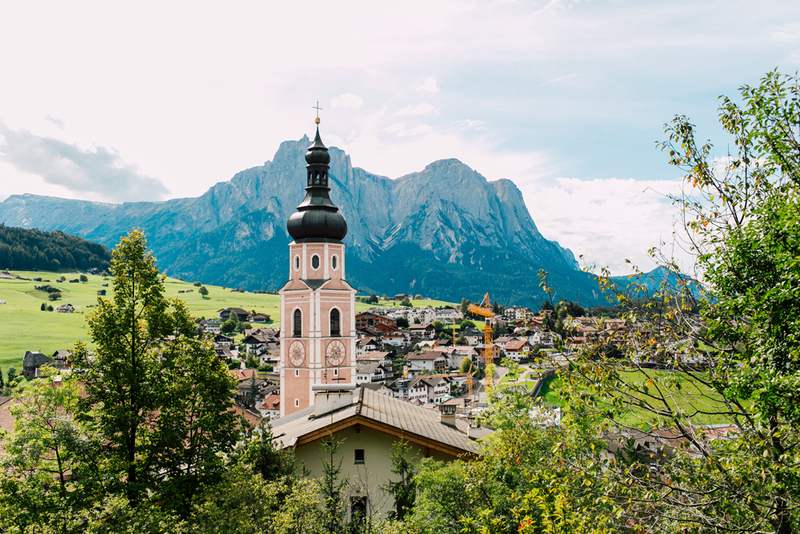 There are panoramic views of the Dolomites and the city below in all directions. 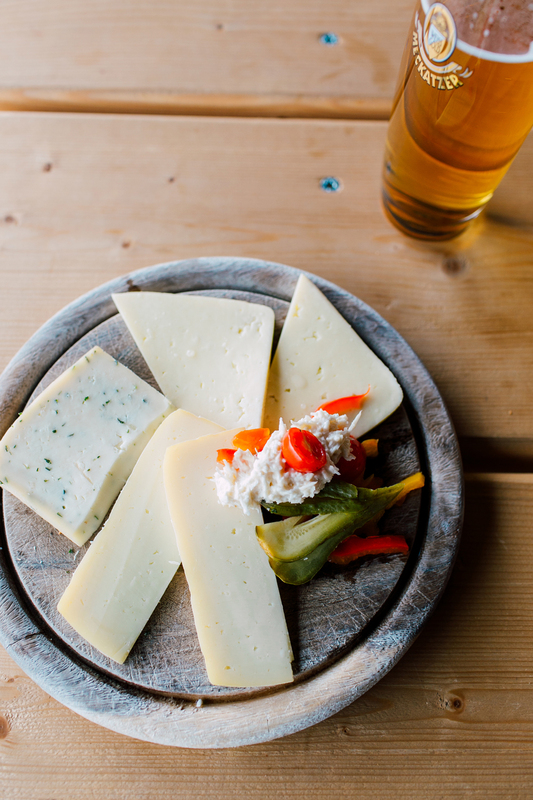 It was a really lovely day when we were there and we even had time to stop in for a little snack at the trail's best kept secret: The Arnica Mountain Hut which is a great little restaurant in the middle of nowhere along this trail. The perfect place to stop in for a beer and a snack! 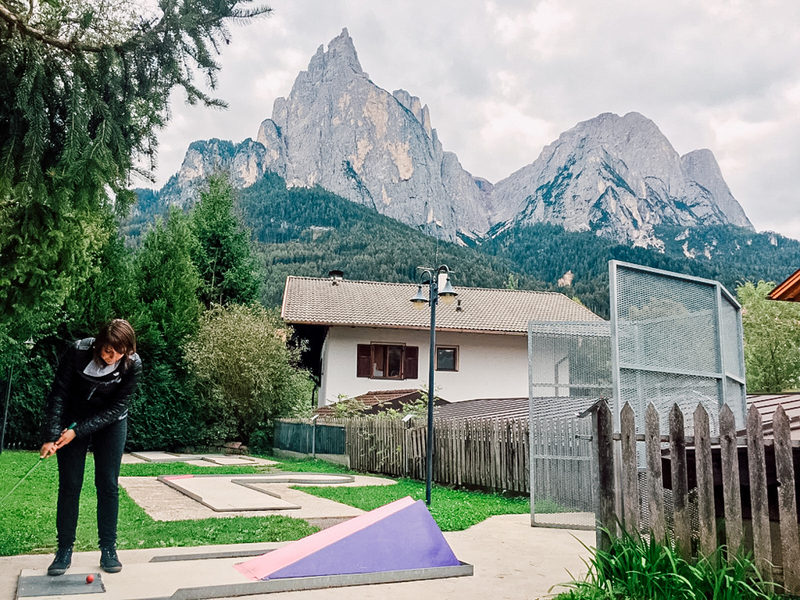 After finishing our hike and heading back down the lifts to the base of the mountain, we found a pretty epic place to play mini golf overlooking the Dolomites.